In this session, a step-by-step development process will be demonstrated for creating and/or accessing 3D model content, and authoring Web pages utilizing the AR.js library. The testing of Web pages containing AR content with smart phones and visual markers will also be explained. 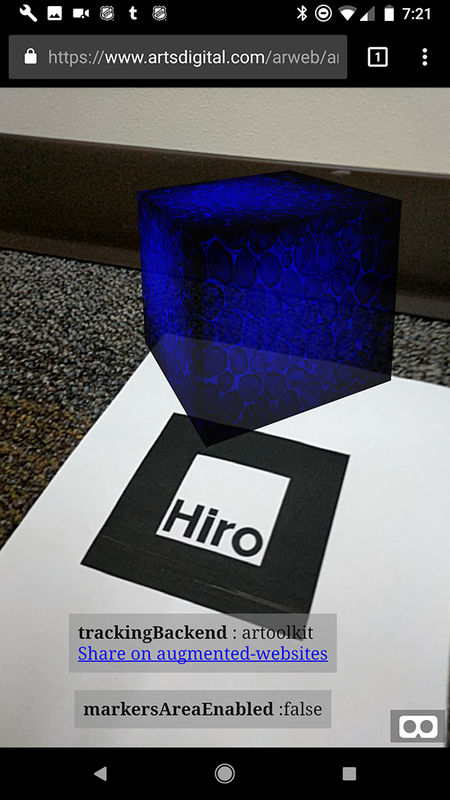 In augmented reality applications and Web pages, markers are used to register 2D and 3D content, viewed in the application or browser, to real-world coordinates. Markers can be patterns or barcodes (Etienne, J., 2017b). A single marker can be used, or multiple markers can be combined to provide visual information for registration (Etienne, A., 2017). Developers can use existing markers that are supported by AR.js from ARToolkit; and, custom markers can be created (ARToolkit, 2016a). In this session, single printed markers will be demonstrated. Markers can also be presented as images on a computer screen; a separate display from the mobile device and browser with AR-enabled content, the marker can be read by the mobile device camera by aiming it at the screen. A-Frame is a Web framework for developing VR content. Created as an extension to three.js, A-Frame is built on HTML and includes components and tools that extend three.js and allow for the creation of 3D VR content with the inclusion of entities (objects), transformations, textures, and animation (A-Frame, 2015-2017b). 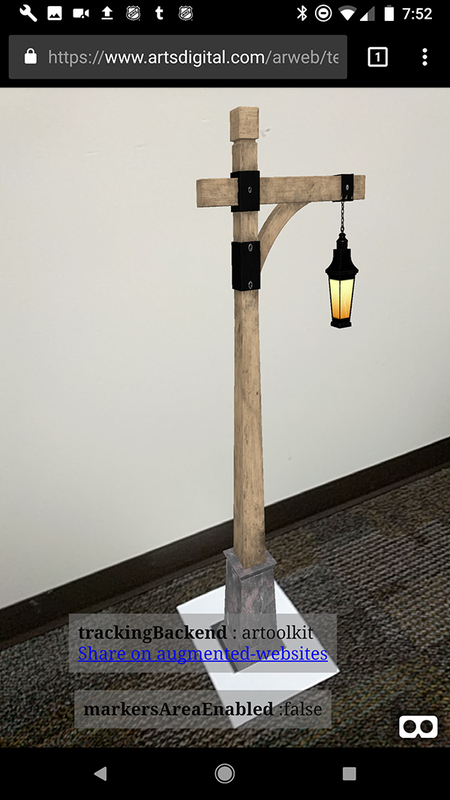 For this session, examples of A-Frame with AR.js will focus on creating primitive 3D models in A-Frame, adding textures to these models, and animating them. The inclusion of glTF 2.0 models in A-Frame scenes is also shown. AR.js allows for accessing the camera and turning A-Frame VR content into AR content for the Web. In this example the position, color and material components are also set. The position is set on the x,y, and z-axis relative to the AR marker viewed through the camera. Setting it at 0.5 on the y-axis will set the object’s origin above the marker in space. The color is set as HTML keywords or hexadecimal values. Measurement of size for objects in A-Frame scenes is in meters; scale is relative to this. Scale is set in x, y, and z dimensions. Rotation is also set on these three axes and measured in degrees. The opacity is a percentage expressed as a value from 0 to 1 and set in the material parameter. Full documentation for primitives and attributes is available on the A-Frame website, for example (A-Frame, 2015-2017d), https://aframe.io/docs/0.7.0/primitives/a-box.html. Using the <a-marker-camera> entity causes the camera, not the object, to be transformed as perspective changes. In this example, the position is animated from its original position to the “to” xyz parameter setting. The duration is measured in milliseconds and the motion is set to an indefinite loop. 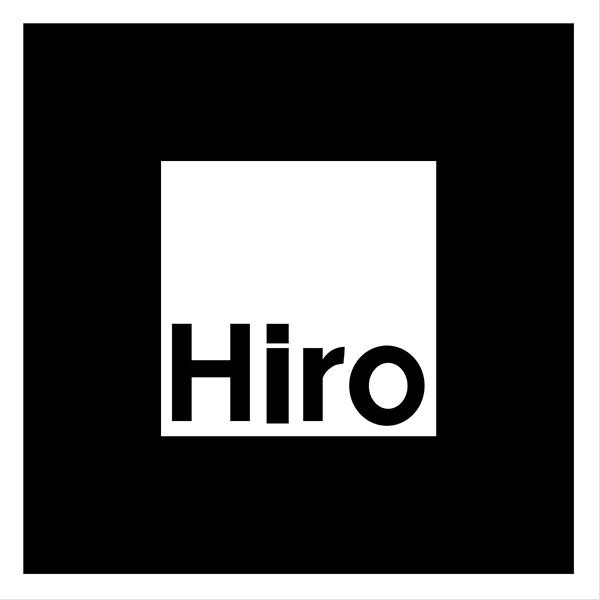 In the example, the model is located on the Web server in the same location as the html file that it is linked to. The <a-asset> entity is used, as in the primitive with texture map example, but, in this case, it is referencing the model directory which includes the model and all texture maps. The <a-gltf-model> entity is used to place the model in the scene. 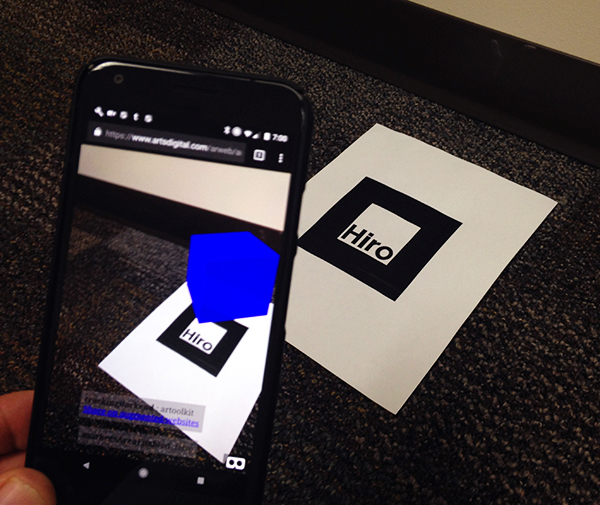 Figure 4: printed pattern AR marker, glTF 2.0 model with textures, Google Pixel XL, Chrome mobile browser with example code. Leighton, Fred. "The portARble museum: Developing augmented reality for the Web using AR.js." MW18: MW 2018. Published January 15, 2018. Consulted .